Abbey At Berkshire Village Berkshire Village Condos: This condo shows beautifully! Gorgeous tiger wood floors through out with the exception of carpet in guest bedroom and tile in bathroom floors. Renovations include beautiful Quartz counter tops in kitchen with re surfaced cabinets, black stainless steel appliances, new lighting, beautiful new guest bathroom and beautiful tile floors! Very large tiled and screened in lanai overlooking the pools and beautifully landscaped grounds is peaceful to see! Pet friendly community! The Abbey at Berkshire Village is a non-gated community located right off Santa Barbara close to dining and shops. It has two pool which are beautifully maintained and heated along with lounge chairs, tiki umbrellas and tables! Assigned parking, and very low HOA fees. Internet and cable is now included with HOA fees! Easy to show. Abbey At Berkshire Village Berkshire Village Condos: Now taking offers on this exceptional Naples condo with beautiful 180 degree nature and canal views. Recently updated, this 2nd floor end unit looks and feels modern and contemporary with fresh paint, wood-look tile flooring and enhanced countertops, cabinetry and appliances in the Kitchen and both well-appointed Bathrooms. Perfect for year round residents or snowbirds alike, this property DOES allow owners to profitably rent their units and enjoy pets. The community features a relaxed atmosphere with two pools and alluring common areas to soak up the Florida sun! The HOA/Condo fees include basic cable, water and sewer making the value of this lovely home undeniable. Abbey At Berkshire Village Berkshire Village Condos: Lovely 2 bedroom, 2 bath unit in Berkshire Village. This turnkey furnished condo enjoys beautiful canal and landscape views from its very spacious lanai with no neighbors to the rear. The living area offers volume ceilings, dining area and view of the lake. The large eat in kitchen features stainless steel appliances, tile flooring and dome lighted ceiling with lots of cabinetry and countertop space. The master bedroom walks out to the lanai. Quiet established community with low fees. Enjoy sunning by the pool area just steps away from the unit. Berkshire Village is conveniently located near Naples restaurants, shopping and of course those beautiful white sand beaches. Trafalgar Square Berkshire Village Condos: This Incredibly Bright Airy End 2 Bedroom 2 Bath attached 1 car garage Unit is yours for the taking! The Owners have recently updated with new appliances, some tile flooring not to mention a lease in place for 2019 Season! Turnkey and ready for an Investor! or a starter home for others! Newer AC 2016, The roofs has been replaced within the last few months, the vinyl exterior will be replaced soon and all assessments have been paid. 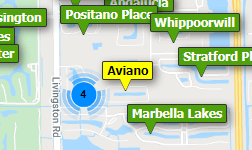 This community offers easy access to downtown 5th Ave, as well as Marco Island! This home is move in ready and set for the next new Owner to come along! Abbey At Berkshire Village Berkshire Village Condos: Great Price. Great End Unit, Great View, Great Location. A spacious second floor end unit, bright and airy with 2 bedrooms and 2 bathrooms. 1254 sq ft under air with a lanai that runs the width of the unit, accessible from both the living room and the master bedroom, with a fabulous view of a large open landscaped area. Extra storage space at one end of the lanai. The breakfast nook off the kitchen could be used as den/office or even an improvised provisional third bedroom for when visitors come to stay. Laminate floors in the living room and second bedroom. Carpet in the master bedroom which has a large walk-in closet off the bathroom.. One assigned parking spot outside the unit. Relax and sunbathe in the community pool area where there are two heated community pools - twice the fun. Berkshire Village is a friendly, well-maintained community with low Association fees. Located close to shops, dining, a Publix grocery store and a Starbucks. Paradise is truly found. Trafalgar Square Berkshire Village Condos: C.15827 - Excellent opportunity for an investor, seasonal, or full time resident to own in Naples! Trafalgar Square is a pet friendly hidden gem perfectly located just minutes from the white sand beaches and all that Naples has to offer. This second floor unit has just had new carpet installed, has a one car garage with a large storage area, and a screened lanai with an east facing exposure to enjoy your morning coffee! Washer and dryer is located in the unit. Just steps away is the community pool, and a short walk or bike ride away is a fishing pier, tennis courts and a community park. Need professional assistance selling your property at Berkshire Village Naples? Find out how an Area Specialist can help to generate more property exposure in order to get the most money for your investment in the least amount of time.